Frontier CEO Alexa Courtney was recently featured in Deloitte’s spark! conversation series, a design and innovation-focused speaker platform recently launched by the firm’s Federal Practice based in Arlington, VA. 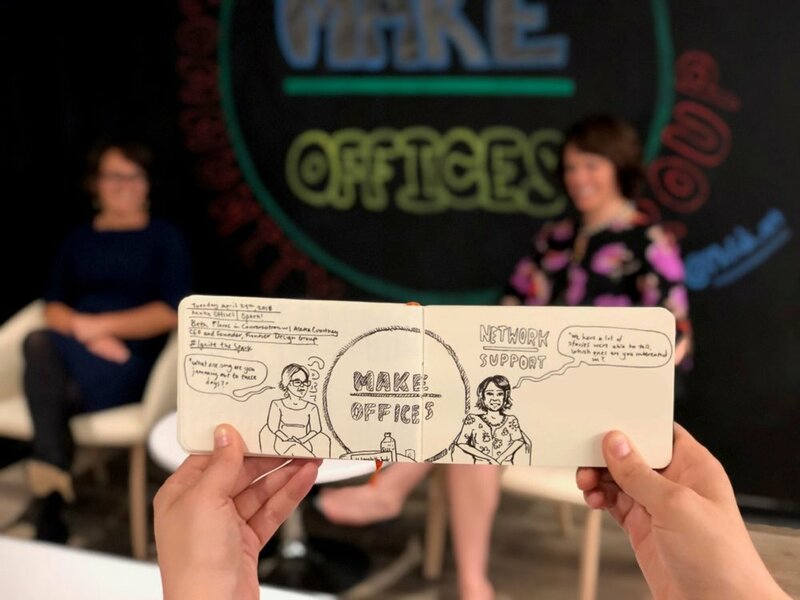 The series, moderated by Deloitte Senior Leader Beth Flores, exposes attendees to a steady barrage of big thinkers and diverse voices from adjacent fields to spark creativity and personal connections. In her comments, Alexa spoke to the pivotal moments that impacted her career and inspire her to pursue Frontier’s national and human security work across the US government, non-profits, and the private sector with creativity, courage, empathy, and compassion. She commented on Frontier’s diverse client portfolio and the privilege of having the trust of senior leaders to employ novel techniques such as systems analysis to develop innovative client-centered solutions and drive their change management agendas. In a Q&A session that followed with Deloitte strategy, operations, and design consultants, Alexa highlighted the power of introducing human-centered design in government settings, arguing that doing so often helps “rip the blinders off” of traditional strategic and operational planning processes, by challenging officials to co-create and prototype deliverables and policies in consultation with their respective end users before implementation. For more information on spark! and to find out about future events, please email Beth Flores.